What is Bitcoin and how does it work? Blog Archive » Finance in answersWhat is Bitcoin and how does it work? A new form of trade exchange has taken over the Internet and people are using virtual money or digital currency to pay for online transactions. They call the new currency “bitcoin”. Proponents declare that Bitcoin is a fast, cheap, and secure way of transacting business online including buying and selling goods and services. Bitcoin is defined by Bitcoin wiki as an experimental, decentralized digital currency that enables instant payments to anyone, anywhere in the world. Wikipedia differentiates between “Bitcoin” to refer to the technology running the whole system and “bitcoin” to the currency itself. Essentially, Bitcoin is a medium of exchange used by online merchants which are not supported or related to the value of a tangible asset (e.g., gold) unlike conventional currencies. They are generated by a process called ‘mining’, where computers in a network participate in solving complex mathematical problems using an open-source software. Through this process, around 25 bitcoins are created every 10 minutes. Bitcoin protocol, which controls the growth of the bitcoin economy, caps the total supply of bitcoin at 21 million. The original software was created by Satoshi Nakamoto, believed to be a pseudonym for the elusive developer and creator of Bitcoin. 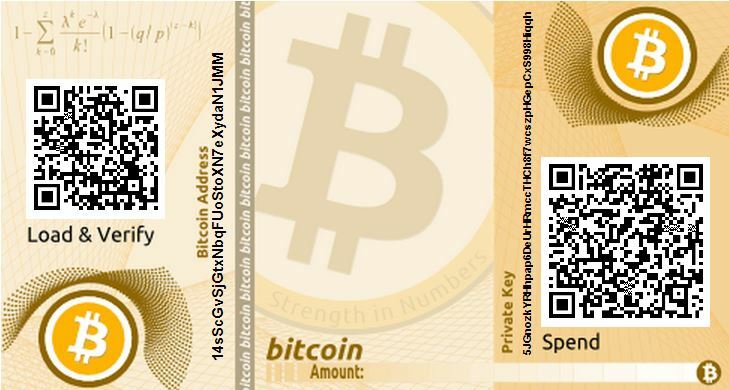 Bitcoin is a digital currency that enables instant payments to anyone, anywhere in the world. All Bitcoin transactions are done through the Internet using peer-to-peer networking without the intercession of central authorities and so-called brick-and-mortar financial institutions such as banks and clearing houses. Without these intermediaries to lengthen the process, financial transactions using bitcoins are instantaneous regardless of the parties’ location around the globe. This decentralized feature of bitcoin means that transactions take place directly from person to person although the transfer is recorded in a central exchange called the block chain as discussed below. All Bitcoin transactions are logged sequentially in a public database known as the block chain. The block chain is akin to a central repository of all recorded bitcoin transactions where their ownership and transfers are recorded. Through the block chain, double spending of the same bitcoin is prevented. People whose computers participate in maintaining the block chain are rewarded with newly-created bitcoins. Bitcoins are sold through online exchanges where sellers and buyers meet. Some people purchase bitcoins in bulk or large volume and resell them at higher prices to customers. 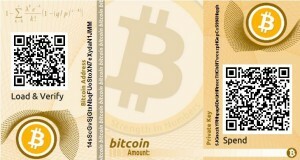 It is also possible to buy bitcoins through the traditional way of buying them with actual cash. Bitcoin or cash – what is cheaper? Dealing in bitcoins costs very little compared to the traditional fees and charges that banks impose on every transaction that passes through them. Transaction fees are so minimal that online merchants are quick to accept and adapt bitcoins as their currency. This situation is made possible because people directly and digitally deal with each other without the intervention of middlemen. The significantly-reduced cost in dealing with bitcoins compared to the traditional financial transactions, makes it a favorite among those who put premium in low-cost charges. Security is perhaps the weakest feature of this otherwise near-perfect digital currency. There is actually no fool-proof way to safeguard bitcoins. That was shown in a recent event where Mt. Gox, the most well-known Bitcoin exchange, was allegedly hacked and all the deposited bitcoins were stolen. Since Bitcoin is not regulated by a central authority, the victims could not simply go to their governments for redress. The proliferation of criminal activities using Bitcoin hogged the headlines recently. Because of the relative anonymity that Bitcoin offers to traders, people have been using it for illegal transactions such as purchasing illegal substances and conducting online gambling. Authorities shut down just last year the infamous Silk Road black market online exchange. ← How do large companies avoid paying taxes in the U.S.?